Apple has released two new iPad designs in efforts to reignite sales of the popular tablet computing devices. Apple’s chief executive, Timothy D. Cook, unveiled the new devices in front of journalists and Apple employees at the company’s headquarters in Silicon Valley. The new iPads and the iOS 8.1 system, the next update for Apple’s mobile operating system, will be available to the public on Oct. 24. The new iPad Air 2 is thinner than a pencil and includes a faster processor to improve speed. The display has been revamped to reduce reflections and glare and the camera has been improved. The tablet has 10 hours of battery life and has a starting price of $500. Both of the new devices have a gold color option and contain Touch ID fingerprint sensors that owners can use instead of a passcode. The iPad Mini 3 starts at $400. Along with the release of the new iPads, the company announced price reductions for its older iPad models. The original iPad Mini will have its price reduced $100 for a new cost of $250. Some analysts believe that the release of the new devices will result in modest sales growth for the company. In its first few years, the iPad achieved an incredible triple-percent growth in sales. However. Apple’s iPad sales have slumped recently. Apple’s iPad sales declined 9.3 percent in the second quarter, compared with the same period a year ago. To maintain healthy sales, Apple’s engineers have to do more with the iPad than with its iPhones and not just because there is more physical space on the devices. The iPad accounts for about 10 percent of Apple’s profit and is the company’s second-biggest moneymaker after the iPhone. Shipments of tablets are expected to increase 11 percent this year, a disappointing number after increasing nearly 55 percent last year. 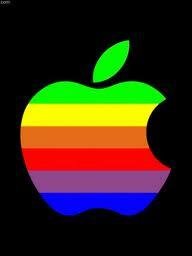 Apple also introduced the new Macintosh operating system, OS X Yosemite, at the unveiling event. The free download has been redesigned with a number of new features, new icons and brighter colors.